Eugene A. Carrell, Brief History of the Randolph Friends Meeting House (1938), 2 pp. Eugene A. Carrell was a a founder of the Friends Meeting House and Cemetery Association in 1898, a trustee from 1898-1942, and President of the Association from 1912-1942. 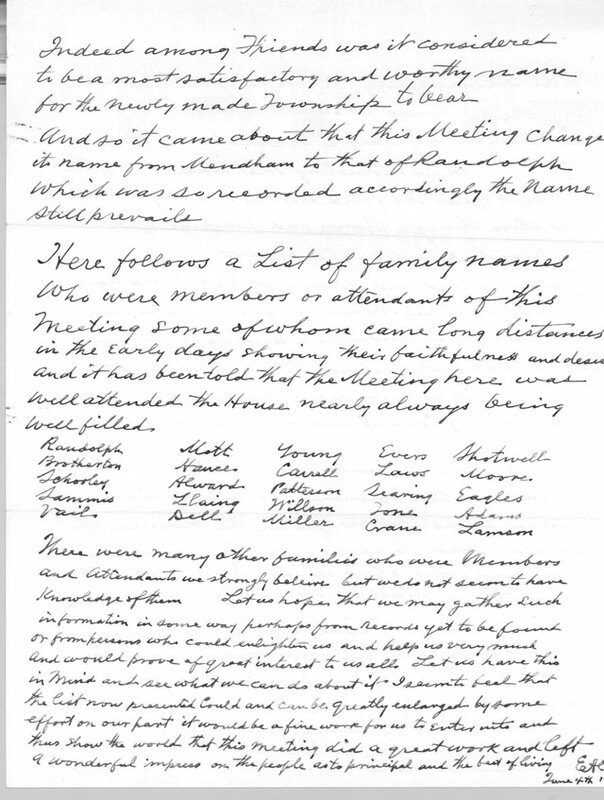 In 1938 he gave a talk at Annual Meeting of the Association on the early Quaker community that included the surnames of all the Quaker families that the trustees of 1938 knew to have been members or attenders of the original 1758-1865 Meeting. The talk was recorded in the Association minutes. 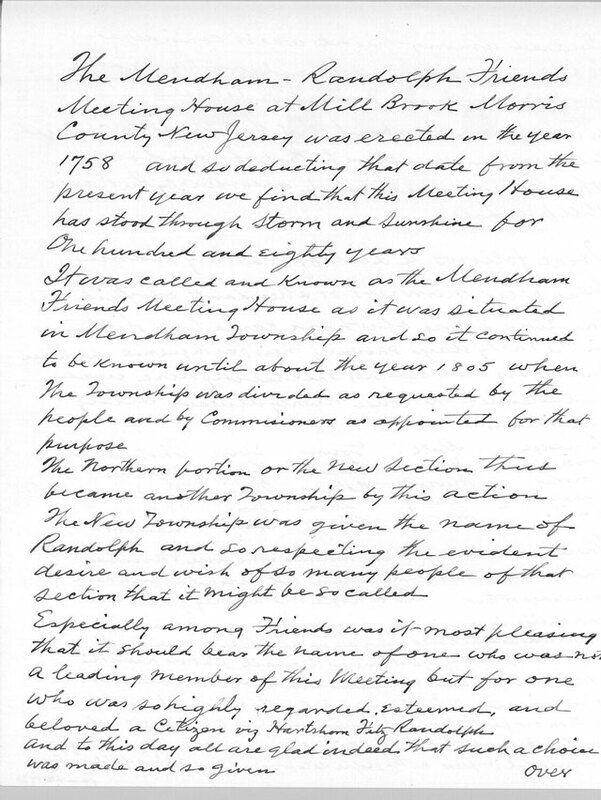 editor's note: Mendham Meeting changed its name to Randolph Meeting in 1811.